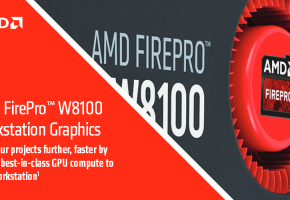 AMD takes another step in professional segment, by announcing more powerful FirePro W9100 with 32GB RAM. 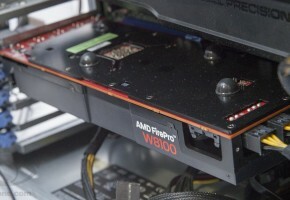 FirePro W9100 32GB arrives just two weeks after FirePro S9300 X2, the dual-Fiji professional graphics card that (unfortunately) is only available with 8GB memory. Since NVIDIA recently announced it’s Quadro M6000 with 24GB memory, AMD lost the lead in professional workstation market as former W9100 model had only 16GB. 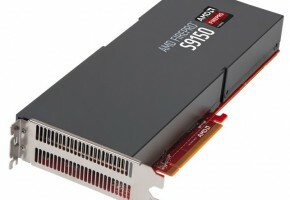 Today however, things change in AMD favor as 32GB model currently has no competition when it comes to such a large frame buffer in workstation graphics. While AMD already had Hawaii-based FirePro Server graphics with 32GB memory, the FirePro Workstation series were only available with 16GB. 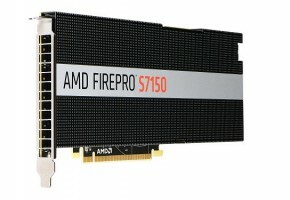 However we shouldn’t really compare pure computing-oriented GPUs like FirePro Server and NVIDIA Tesla to FirePro Workstation and Quadro series, since those cards serve different purpose. Either way this news comes as a surprise. While Hawaii silicon may not be included in Radeon 400 series, it apparently still does the job in professional market, so AMD is still planning make more Hawaii chips. 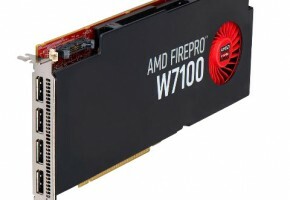 LAS VEGAS, NE — 04/14/16 — At the 2016 National Association of Broadcasters (NAB) Show, AMD (NASDAQ: AMD) announced the new AMD FirePro W9100 32GB — the world’s first workstation graphics card with industry leading 32GB memory support for large asset workflows with creative applications1 planned for availability in Q2 2016. AMD also introduced the AMD FireRender plug-in for Autodesk® 3ds Max®, which enables VR storytellers to bring ideas to life through enhanced 4K workflows, photorealistic rendering functionality, and powerful creation support. An AMD product showcase demonstrating support for a VR production workflow featuring the new AMD FirePro W9100 32GB graphics card for speed and ultra-high-definition visual performance, and the Radeon™ Pro Duo graphics card — which forms the world’s most powerful platform for virtual reality (VR)2 when combined with the AMD LiquidVR™ SDK, capable of both creation and consumption of VR content. 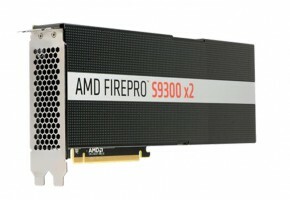 The AMD FirePro W9100 32GB graphics card is also designed for Computer-Aided Engineering (Siemens NX Nastran, SIMULIA Abaqus) and Visualization tools (AutoDesk VRED 2016). 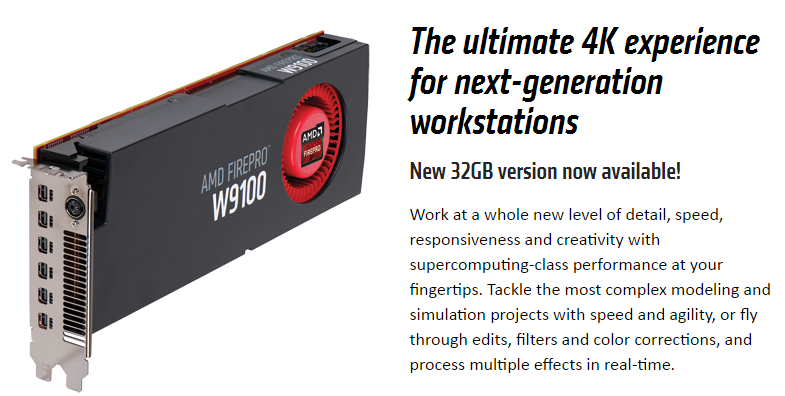 An Autodesk demonstration featuring the AMD FireRender plug-in designed for Autodesk® 3ds Max® 2016 powered by an HP workstation with dual AMD FirePro™ W9100 professional graphics. An AMD FirePro graphics demonstration offering increased color accuracy and support for display resolutions up to 4k, as well as GPU-acceleration to empower content creation with the Adobe video tools, including Adobe® Premiere® Pro CC and Adobe After Effects® CC. A free interactive photorealistic ray trace renderer for the forthcoming Rhino version 6 that works inside the Rhino viewport for physically correct material with rendering technology based on the OpenCL™-accelerated AMD FireRender plug-in. The AMD professional graphics cards are on display with hardware and software leaders at the 2016 NAB Show at the Las Vegas Convention Center in Las Vegas, Nevada at booths SL2425 and SL10227 and during ShowStoppers at NAB 2016.